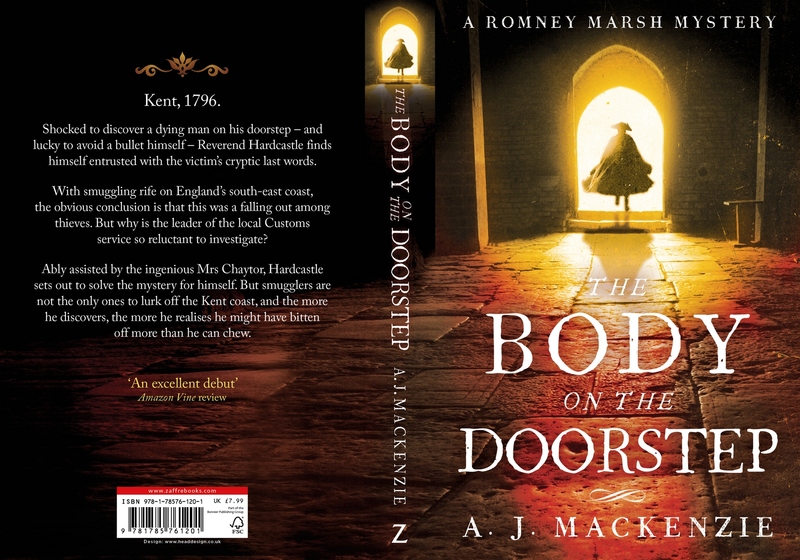 We are thrilled to welcome A J Mackenzie which is the pseudonym of Marilyn Livingstone and Morgen Witzel, a collaborative Anglo-Canadian husband-and-wife team of writers and historians. Between them, they have written more than twenty nonfiction and academic titles, with specialisms including management, economic history and medieval warfare. You can find out more on their website by clicking here. When it came to finding new ways of killing people, the Georgians were very inventive. Some of their weapons were lethal; some were also downright weird. We’ve seen plenty of eighteenth-century weapons in films, of course, from the duelling pistols in Barry Lyndon to the Brown Bess muskets carried by the squaddies who go around terrorising the poor (alternatively, keeping order in lawless coastal communities) in Poldark. 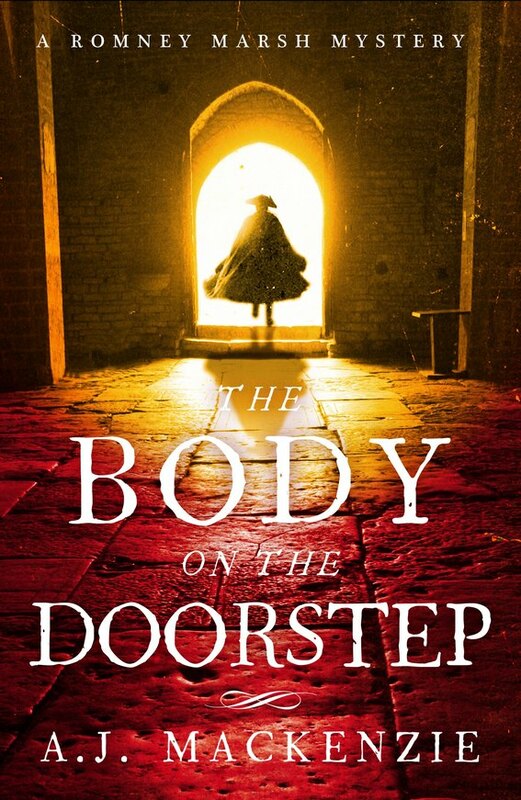 In The Body on the Doorstep, the first of our Romney Marsh Mystery series, a rifle is a key weapon, but other firearms are also used by a variety of characters. Most people of quality would have owned a firearm of some sort. The country squire would have a fowling piece (ancestor of the modern shotgun) for shooting birds and rabbits; the lady of the town would carry a muff pistol when going out to deter highwaymen and footpads. In the absence of an established police force, people reserved the right to defend themselves. But with advancements in science, spurred on by the Enlightenment, came advances in weaponry. Early in the eighteenth century the mathematician Benjamin Robins (ironically, the son of a Quaker family) calculated that cutting a pattern of helical grooves into the bore of a musket would impart spin to the projectile. This, in turn, meant the bullet would fly in a straight line, meaning greater accuracy. Most smoothbore muskets were barely accurate beyond fifty yards; a good rifle could hit a target at three hundred yards or even more. It took a while for rifles to catch on in Britain. They were more popular in Germany among the sporting set, German sportsmen preferring to shoot their prey from long range rather than chasing it across the country on horseback. The rifle also became popular in America where the colonists used them to shoot game for the pot. In 1775, when the colonists stopped shooting deer and started shooting redcoats instead, the British army took notice. A few experimental rifles were commissioned for the British light infantry, but it took another thirty years for the Baker rifle – Richard Sharpe’s weapon of choice – to come into service. One of the things that determined the accuracy and power of any firearm was the quality of the gunpowder. Fighting the Russians at the Battle of Poltava in 1709, the Swedish army’s powder was so poor that the musket balls sometimes merely rolled down the barrel and dropped at the musketeer’s foot. In the 1760s, a Tirolean watchmaker named Bartholomew Girandoni decided to do away with powder altogether and built a gun powered by compressed air. His was not the first air gun, but his Windbüchse, or ‘wind gun’ was one of the best yet seen, much faster to load – it could fire around 20 rounds a minute, compared to the musket’s three or four – and quieter to shoot than an ordinary musket. The Austrian army was so impressed that it ordered several thousand for special light infantry units. The strangest weapon of the eighteenth century may well be the Defence Gun, more usually known as the Puckle Gun, patented by James Puckle in 1718. This was a flintlock repeating weapon mounted on a tripod and fired by turning a crank handle. There were various versions of the Puckle gun, some of which could fire as many as eleven shots without reloading. How many Puckle guns were made is not known, but two are still in existence and there are rumours of a number of others. Puckle was not able to persuade the notoriously conservative Board of Ordinance to take up his gun, but later engineers refined the design and eventually produced more satisfactory weapons; the nineteenth-century Gatling Gun is a direct descendant of the Puckle Gun. Strange and quirky, the weapons of the eighteenth century were the forerunners of the more deadly ones of the nineteenth; and the truly terrifying ones of our own time.